Torque Blog - Team Torque - Employee Focus with Filip, Site Administrator. Our Employee Focus' are designed to give you a sneak peak into what it's like to work at Torque and the huge range of roles available within the business. With over 1100 employees, in different roles, sites and locations, they all have something interesting to share. If you're interested in a career at Torque, visit our careers page and let us know! This month we spoke to Filip to see how he became a Site Administrator at Torque. Filip has worked for Torque for over 2 years, starting as an agency worker, he quickly became a Torque employee and absolutely loves his job as Site Administrator. Filip talks about what his role has taught him both personally and professionally, shares with us one of his proudest work moments and why his parents were a bit shocked when he was born! A little about Filip, Site Administrator. What’s your role and can you tell us a little about it? I’m a Site Administrator in WO6 Wortley, Leeds – on a daily basis I’m helping out with KPI reports, logs, timesheets, lockers and with Health & Safety in the warehouse. How long have you worked for Torque? I have officially been working for Torque for 2 years this May, however I worked for Torque via an agency before becoming permanent. My role as Site Administrator has already provided me with so many opportunities to help my personal development for example, I have just completed the Health & Safety IOSH course which now allows me to write and complete risk assessments within the warehouse. This has also opened my eyes to see how the warehouse is run on a deeper level and I certainly think about processes more than I would have before. 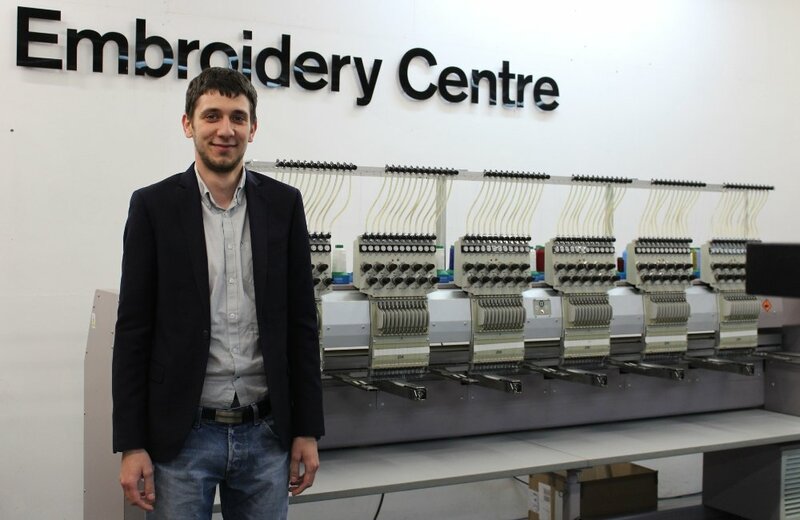 When I was working in the Embroidery Centre, I was asked to help out with a few issues in other departments within the warehouse. From doing so someone saw potential in me and I was asked if I would like to become the Site Administrator, a great decision as I love it! What invaluable thing have you learnt in your role? Not so much something I’ve learnt, but I’ve definitely gained a lot more confidence in myself since moving into this role which not only helps me in my work life but has also helped me in my private life. What’s the one piece of advice you could give someone who wanted to do your job? I had a huge tendency to say yes to everyone which I have now realised isn’t always possible or manageable. You also need to be very organised and be able to proactively manage your workload whilst also taking on additional jobs when required. Can you tell us the funniest or most interesting thing to happen to you at work? Most interesting in regards to my job would be opening the Azurina contract, my role as Site Administrator gave me the opportunity to meet the management team for Azurina and assisting with the setup of the department whilst also ensuring we meet the standards set by the customer and Health & Safety. How do you think Torque go the extra mile for their customers? Although I work within central operations at Torque our customers can go all the way from manufacturers through warehousing and processing to far end customer. All of Team Torque work together to ensure the service provided to the customer is of the highest standard regardless of the service required. I have a collection of snapbacks with a few unique ones like a bitten pizza or a cap made of cork. Another fact is that up until I was born my parents were told that they were having a girl, they had a full collection of girls’ clothing and had, prior to my birth, named me Julie. Then to their shock, a boy appeared which resulted in my Grandma choosing my name on the spot. If you could invite 3 people (alive or dead) to a dinner party you were hosting, who would they be, and why would you invite them? It would be polish rapper O.S.T.R. one of the best, New York beatmaker Marco Polo, they did a collaboration and have created the best hip-hop album of PL/ USA duo called “Kartagina” and my friend Memfiz that is interested in the subject, same as me.